Hours after Attorney General Jeff Sessions announced the end of the Deferred Action for Childhood Arrivals (DACA), Mason DREAMers hosted an evening of information and a call to action for students and members of the greater Northern Virginia community. Cabrera’s message was one of solidarity and encouragement for all DACA beneficiaries at Mason. 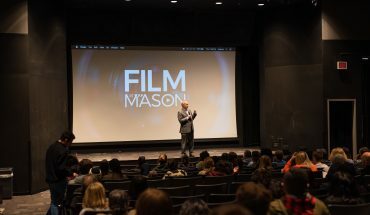 Cabrera encouraged the Mason community outside of Mason DREAMers to make a difference by contacting Congress. 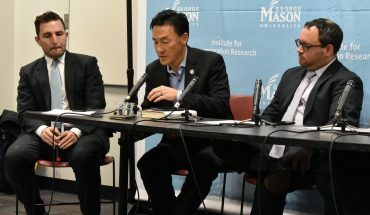 With Mason home to over 30,000 students, Mason students could potentially influence legislation that helps undocumented immigrants long term. Sandoval-Moshenberg provided the legal and technical expertise on taking action, as well as the main points of what this decision means for affected DACA recipients. According to Sandoval-Moshenberg, recipients whose permits expire on or before March 5, 2018, will be able to renew DACA for another two years– as long as their applications are filed by October 5, 2017. This gives eligible recipients less than 30 days to complete the application and submit it with the standard $495 fee per application. Along with an increased risk of deportation, the loss of DACA includes the loss of their driver’s license and qualification for in-state tuition. However, Sandoval-Moshenberg mentioned that the in-state tuition categorization will continue through to at least the Spring 2018 semester. Some scholarships require verification that the applicant is a DACA recipient. For recipients ineligible to renew one more time, he mentioned that there are other ways for undocumented immigrants to stay in the U.S. For example, proof of asylum and employment-based visas. However, they are not methods that can be used by the majority of undocumented immigrants needing help after losing DACA. “We need DACA because most won’t be eligible for other relief,” Sandoval-Moshenberg said. Proof of asylum means that the person’s homeland is too dangerous to inhabit. According to the U.S. Department of Homeland Security (DHS) website, immigrants must apply for asylum within one year of the date of their last arrival to the United States. The other method of relief, employment-based visas, has limited availability. Specific qualifications are required to file for this visa, with approximately 140,000 visas available every fiscal year according to the U.S. Department of State site. Approximately 800,000 immigrants will be affected by the removal of DACA. Sandoval-Moshenberg’s legal advice was followed by an uplifting message from Jennifer Crewalk, the Assistant Director for the Office of Diversity, Inclusion, and Multicultural Education. Some Mason DREAMers respectfully referred to Crewalk as their “Fairy Godmother.” She also serves on the Mason DREAMers Advisory Board. Rodrigo, another member of the Mason DREAMers Advisory Board and a Mason alum, continued the uplifting statements and went into detail on how to advocate on the Federal, State, University, and even on a personal level. In reference to the large turnout of their event, Rodrigo mentioned that change starts when advocates show up in this many numbers. Rodrigo listed four pieces of proposed legislation that everyone can contact their representative about on the federal level: the Dream Act of 2017, the American Hope Act, the Recognizing American Children Act and the BRIDGE Act. See sidebar for more information. The privilege to vote was one of Rodrigo’s points for state advocacy. “Vote with them in mind,” he said, referring to the thousands of undocumented immigrants that are unable to elect officials that will speak for them. Due to fees such as the $495 required to submit a DACA renewal application, Rodrigo said that allies can help on a university level by donating to the Mason DREAM scholarship. He also suggested to create institutional resources that meet the financial needs of undocumented students. Rodrigo said that there is a place for allies that may not be extroverted or open to public speaking. Donating to the scholarships, and to non-profit and legal aid services, as well as speaking to a neighbor, friend or family member can all help. “When we lift up undocumented immigrants, we lift up our community,” Rodrigo said. This is a sentiment that David Buvola seemed to agree with. Buvola represents the 37th district (which encompasses Mason) in the Virginia House of Delegates. Official statements on the decision to remove DACA have been released by Mason DREAMers and President Cabrera. Mason DREAMers are providing “UndocuAlly” training for those that would like to be trained to be an ally and advocate. 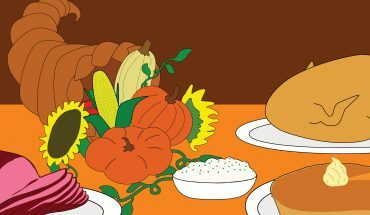 (More information and more resources available on masondreamers.org). Sponsored by Republican senator Lindsey Graham, The Dream Act of 2017 was introduced to the Senate on July 20, 2017. According to the bill, it would cancel plans to remove and would adjust the status of “certain individuals who are long-term United States residents and who entered the United States as children, and for other purposes.” It also allows for a path to permanent resident status on a conditional basis. The conditional basis can eventually be removed as well after certain criteria is followed. Eight days later, Democratic Representative Luis Gutierrez introduced the American Hope Act to the House on July 28, 2017. Similar to the Dream Act, the DHS will have to cancel plans to remove and would have to adjust the status of “certain individuals who are long-term United States residents and who entered the United States as children prior to 2017.” These individuals will be able to petition for permanent status. Sponsored by Republican Representative Carlos Curbelo, this bill was introduced to the House on June 20, 2016.
has never been under a final order of exclusion, deportation, or removal unless the alien has remained in the United States under color of law after such order’s issuance or received the order before attaining the age of 18. For eligible persons under certain criteria, the bill allows the DHS to grant them a three-year provisional protected presence that keeps them from the risk of removal, unless the protection is rescinded. This also gives the undocumented immigrants authorization of employment. Beneficiaries of the BRIDGE Act will not be considered unlawfully present in the U.S.